The Bombardier Learjet 31A, announced as a replacement for the Learjet 31, has been primarily noted for its speed. More importantly, the Learjet 31A has been recognized for providing users with especially low operating costs per statute mile. For a group of up to 6 passengers, the Learjet 31A is a comfortable and cost-effective form of travel. 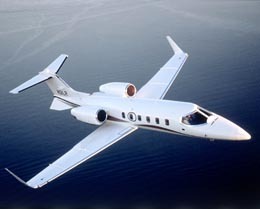 Learjet introduced the Learjet 31 as the successor to the Learjet 29. 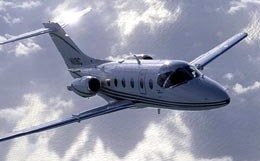 The Learjet 31 first flew in May of 1987 and received Federal Aviation Administration (FAA) certification in August of 1988. 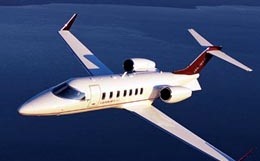 When Bombardier acquired Learjet in October of 1990, the Learjet 31A was revealed. The Learjet 31A received FAA certification in July of 1991, and the first models were delivered later that year. 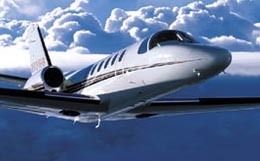 The Learjet 31 and 31A feature the fuselage and engines of the Learjet 35 and Learjet 36 models with the Longhorn wing of the Learjet 28, 29, and 55 models. Improvements implemented in the Learjet 31A model include a Honeywell avionics package, electric windshield deicing, and digital nosewheel steering. Production on the Learjet 31A started in 1987 and ended in 2003. 200 aircraft have been built so far. 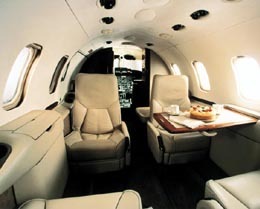 The Learjet 31A features a generous cabin length of 17.1 feet. Although it has an eight-passenger maximum capacity, it most comfortably seats four passengers, while also being able to utilize its maximum range. The model also features advanced Bendix/King avionics, which feature a KFC 3100 autopilot system. This innovative technology provides automatic climb and descent capabilities that maximize efficiency and performance. The cockpit's intuitive control panel features a consolidated interface that streamlines the piloting experience, making it as straightforward as possible for the pilot to navigate comfortably. This allows operators to focus on the most crucial aspects of flight control, without being inundated by unnecessary tasks. Pertinent items are grouped together by function and relevance. The avionics system also serves to increase situational awareness and enhance visibility in varying conditions. In short, the Learjet 31A is an extremely competent, well-rounded, and reliable aircraft that combines extreme performance with luxury and comfort. 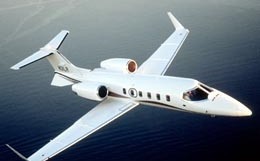 It is an ideal option for light jet travel. This private business jet features 40 cubic feet of internal baggage storage that is accessible in flight. The Learjet 31A comes equipped with two Garret TFE 731-2-4-3B turbofan engines. Each engine is rated at 3,500 pounds of thrust at takeoff. These engines are efficient and economic, featuring a consumption rate of 177 gallons per hour. At an airport with a sea level altitude, the Learjet 31A requires just 3,490 feet of runway to take off on a standard day. At an airport with an elevation of 5,000 feet, this takeoff requirement increases to 6,251 feet of runway. With four passengers, the Learjet 31A needs only 2,507 feet of runway to land. This private business jet is capable of reaching an altitude of 47,000 feet in 28 minutes, and can maintain an airspeed of 456 knots at this altitude. The Learjet 31A features a range of 1,252 nautical miles with four passengers on board, allowing for many destination options for your business venture. The avionics system selected for the Learjet 31A is a Honeywell avionics suite. This suite includes a Bendix/King KFC 3100 autopilot system, which features automatic climb and descent modes that assist the pilots in the control of the aircraft to allow for increased performance. Five electronic flight information system (EFIS) displays assist the pilots by providing brief summaries of activity. The control board was designed to be intuitive, with systems and their associated instruments and indicators grouped by function. Instrumentation implemented in this avionics suite include dual KDC 481 air data computers, Series III DFS-43 ADFs, a KRA-405 radar altimeter, dual Series III VC-401B VHF transceivers, a DM-441 DME, a Universal Navigation UNS-1 flight management system (FMS), and dual MST 67A Mode S transponders. Additional optional equipment includes high-frequency communication radios, microwave landing system, the Global Wulfsberg GNS-X FMS, a Category II flight director, and a ground proximity warning system (GPWS). For more information about chartering, leasing or buying a Learjet 31A please contact us by calling +44-20-3874-8091 or send us an email here.